In this episode, I sit down with Fei Wu – the creator and host of Feisworld Podcast and the Founder of Feisworld LLC. Listen in as we discuss her journey of building a popular podcast, connecting with amazing and fascinating guests, and leaving a “steady” job to follow her dream. 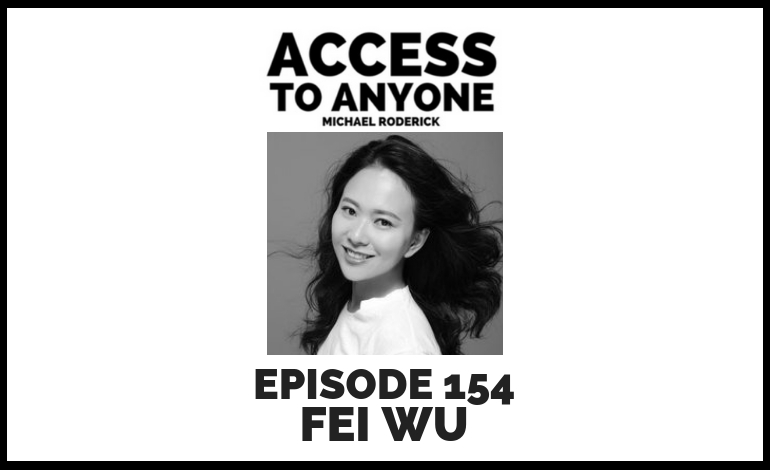 Fei Wu is a bilingual podcaster (English and Mandarin Chinese), the creator and host of Feisworld Podcast / 菲的世界播客, which attracts 75,000 downloads and listeners from 40 countries. Fei left her job in marketing and advertising to build a company of her own called Feisworld LLC, with a mission to help small businesses and people tell better stories, find more customers, and create new revenue streams. She was born in Beijing, China, educated in Boston, and has a 3rd-Degree Black Belt in Tae Kwon Do. She also worked as a DJ for the China National Radio Station (CNR) at the age of 16.